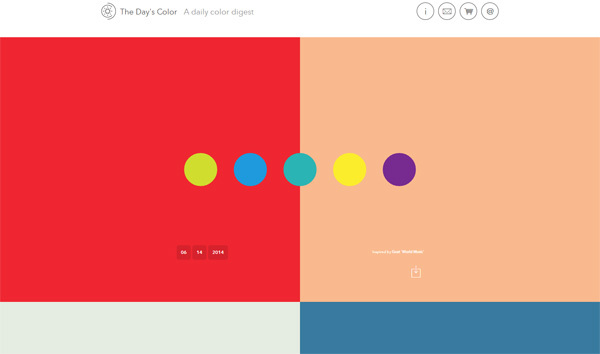 For a regular dose of color scheme inspiration, head over to Nigel Evan Dennis’s site, The Day’s Color. On The Day’s Color, a color palette is published every day. 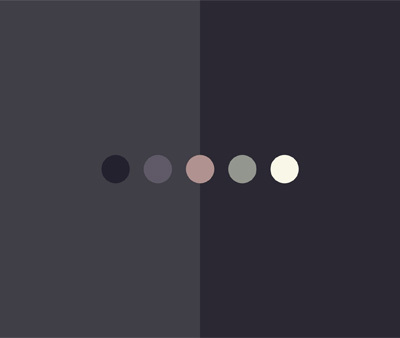 You can use the palettes as inspiration towards developing a color scheme, or set them as your desktop wallpaper background. Each palette is inspired by art, thoughts, music and memories the site owner encounters. For example, the color palette featured on May 6, 2014 was inspired by the HBO show, True Detective. One thing to note is the color values aren’t provided on the site so you’ll have to use your favorite graphic editor’s color picker, or a browser extension like ColorZilla, to determine the color values of a palette you’re interested in.